If you click on the relevant magazine covers below, it will take you to the particular website. Scale Aircraft Modelling is the only title on the newsstand to address the needs and issues of the modern age, providing a focused and essential content that is aimed to complement rather than compete with internet access. The magazine presents preview material, features and full build reviews with a cross section of modelling, historical and reference. SAM makes best use of its pages with original research, thoughtful and incisive editorial, and an all-embracing approach to the hobby that invites readers to 'look what you can do' rather than 'look what we can do'. Printed on high quality stock the magazine offers a unique 8-page 'subscribers section' that adds even more to the busy content of a magazine that recognises white spaces belong only at the North Pole, that a magazine is bought to be read, and that readers wanting only to look at big pictures of models will find them online rather than paying a cover price. More content equates to more value, and more value has enabled us to buck the trend and increase our sales despite the most pessimistic predictions from non-print media. That's why SAM is the best all round scale aviation modellers magazine. 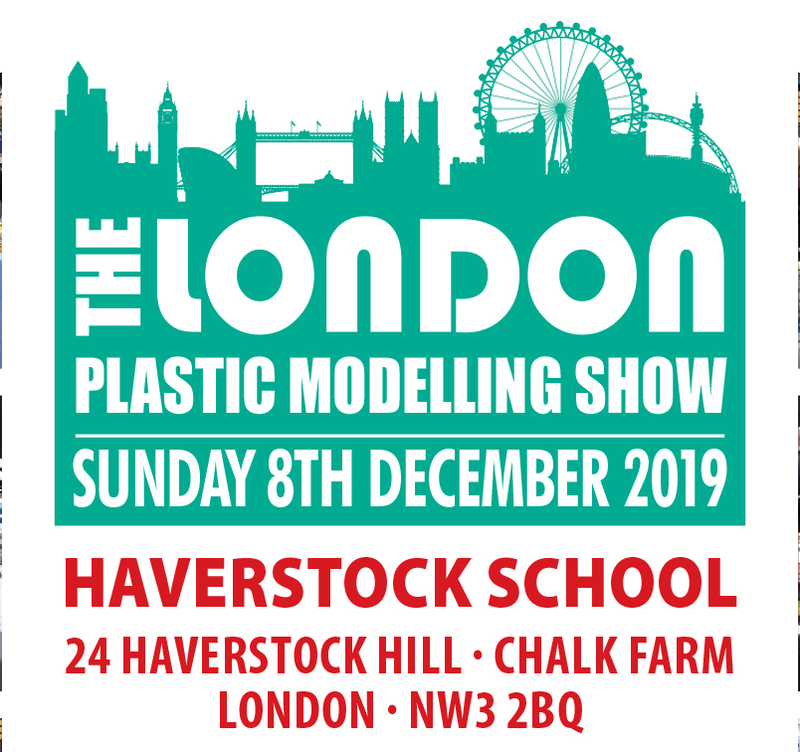 The modelling industry has been in constant evolution over the past fifteen years, and the advent of the Internet has played a significant role in linking modellers from all corners of the globe. Traditional print media needs to evolve along with the hobby and no other magazine is more aware of this fact than Military Modelcraft International. In the past three years, MMI has managed not only to reinvent its print personality, reaching new standards in print quality, design and writing, but has also established itself as the world's fastest-growing and most exciting armour modelling magazine. What's more it has also established itself as a serious on-line social media presence as well. Military Modelcraft International boasts over 63,000 fans on Facebook. Reaching in excess of 80,000 individuals per week through Facebook, MMI can provide massive exposure to your products and services. With a reputation for quality and a team of highly talented international modellers, including the likes of Anthony Guarderas, Ken Abrams and Luciano Rodriguez, contributing top-quality builds and reviews, MMI offers the ideal marketing solution by combining the best that traditional print media has to offer with the progressive nature of the Internet experience. Toy Soldier Collector International is THE magazine for fans of 40-70mm figures, whether military or civilian, gloss or matte we have it covered. 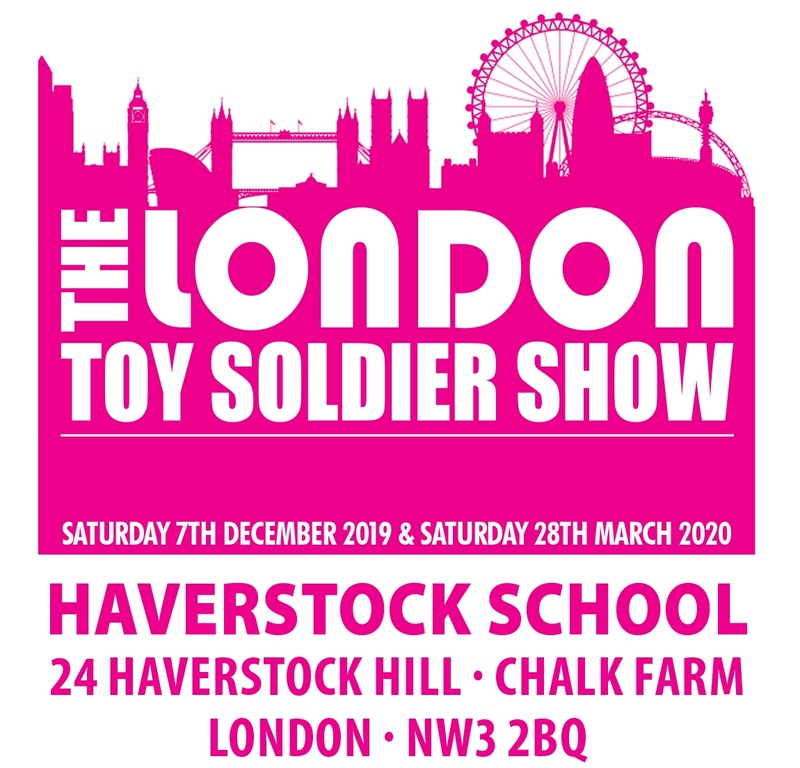 Our team of global writers from as far a field as Singapore, Australia, the USA, and of course Europe, cover every aspect of figure collecting, from high end museum quality painted metal figures to 'paint your own' metal and resin kits, as well as the ever popular plastic 'toy soldier'. Not only does TSCI cover everything new in the world of miniature figures but we also focus on the best of the past with in-depth features on famous figures and brands from the past 120 years of the hobby, including regular auction updates to keep readers up to date on on what is selling globally and for how much. TSCI also prides itself on being a true historical resource with plenty of military history based articles which are illustrated with not only original photographs and paintings but also dioramas of figures that recreate the important moments in history. Now in our 14th year the magazine continues to go from strength to strength with both strong newstrade sales as well as direct subscriptions and not forgetting the TSCI website and Facebook pages which often feature their own content separate to that of the printed publication. We are proud to have always been, and will continue to be, a magazine produced by toy soldier collectors for toy soldier collectors! A brand new magazine concept that we at Guideline are very excited about. Published in co-operation with IBG of Poland, a major player in the plastic modelling world both as an importer and dealer and as a manufacturer of high quality injection moulded kits under their own brand, World at War brings together expert knowledge and injection moulding technology to bring you the ultimate kit and reference collection combined. Yes, it's a kit, but it's also a magazine. The sixteen pages of each issue will include not only the instructions for the kit itself but also a comprehensive profile of the vehicle depicted with details on its history and development, its service use, and the equipment fit that makes it unique, as well as profiles of some of the military commanders under whom it was used. This is not one of those skindeep generic part series' that glosses over those minor matters that make all the difference - The World at War is designed by modellers for modellers and recognises what it is that real enthusiasts are looking for in a kit, and as a publisher of magazines with some forty years' experience of providing expertise to the model-building community. Guideline is proud to be a part of this venture. The magazine will focus on German Military equipment moving forward and building into both an excellent reference library and a fine collection of models in 1/72. 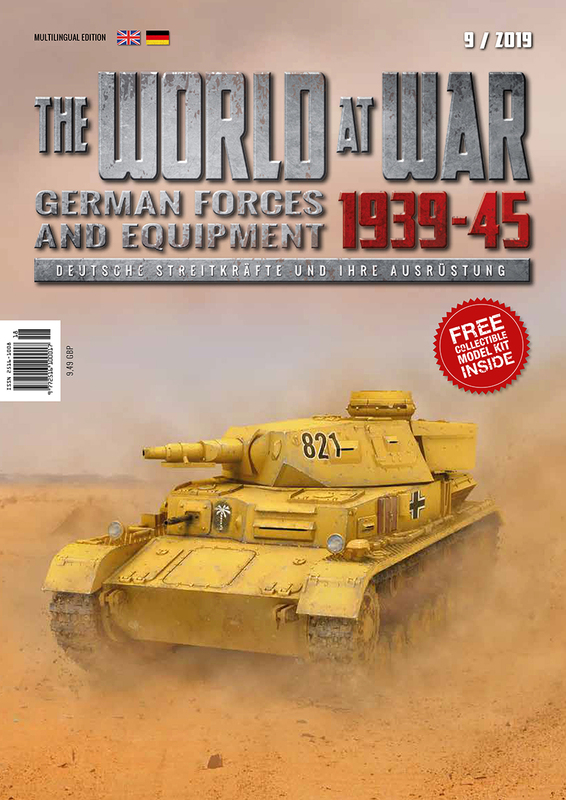 With ten issues, and ten unique and high quality kits, a year and a very competitive subscriber's offer The World at War is a publication you cannot afford to be without. 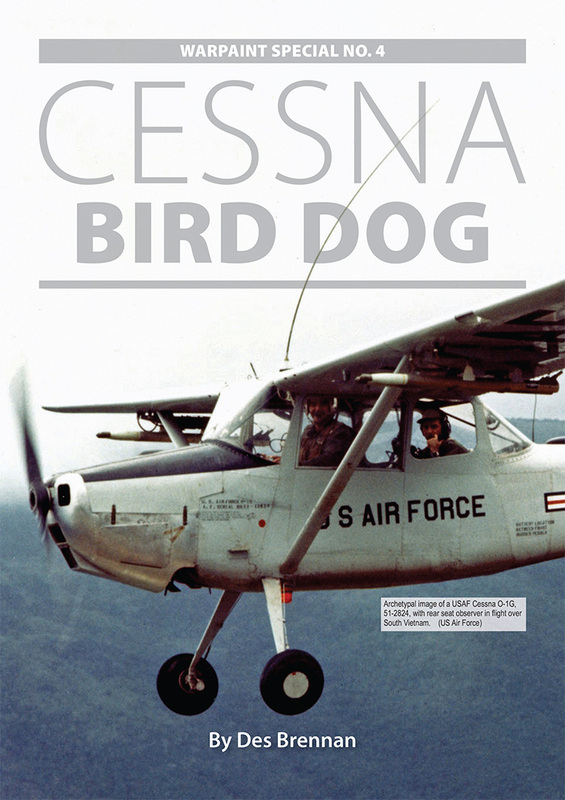 Designed with both the aircraft enthusiast and the model maker in mind, the Warpaint titles try to establish as near as possible a comprehensive and accurate account of a single aircraft type within one set of covers. New Titles now available to buy! 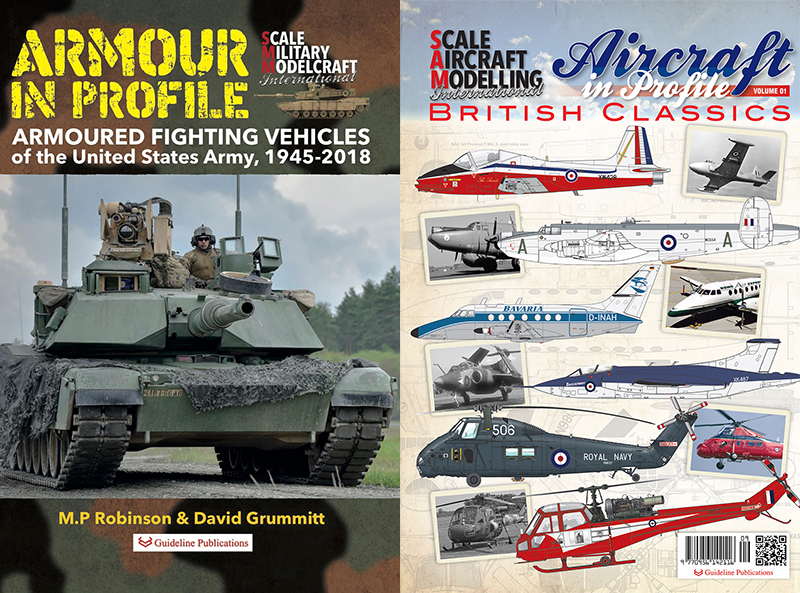 Apart from our Warpaint book we publish a range of Aviation and Military Books - Combat Colours, Camouflage & Markings aviation and military plus Airfile Publications. A 64-page reference/photo album Atlantic Resolve: NATO's Show of Strength 2014-2018. A reference to modern NATO, especially US, and partner nations (esp. Ukraine) armour on exercise in Poland, Romania, Bulgaria, the Baltic States and Germany. Combat Colours New Title Available Now! Aircraft in Profile is a monthly section occupying the centre pages of Scale Aircraft Modelling magazine providing an initial 'first step' in researching an aircraft type, and is aimed at those readers who have had little previous interest in its subject, rather than those with expert knowledge. The section outlines the history and development of its chosen type providing a context for a modelling project, while the plans and drawings are designed to expand upon this and we hope we hope will be of use or interest to both modellers and aviation enthusiasts alike Volume Two is out now US Navy and AirForce subjects following a number of requests to provide the material in book form. Armour in Profile: Armoured Fighting Vehicles of the United States Army, 1945-2018 contains profiles of five armoured fighting vehicles that have shaped the strategy and tactics of the United States Army since the end of World War II. From the battlefields of the Korean Peninsula and the jungles of Vietnam, to the plains of Central Europe and deserts of Iraq and Kuwait, these vehicles are iconic of American military might. Beginning with the M47 and M48 Patton tanks, replacements for the M4 Sherman, it goes on to examine the M60 tank and the mighty M1 Abrams Main Battle Tank, a vehicle that is expected to serve as the principal weapon of the U.S. Army for at least another two decades. As well as these main battle tanks, it profiles the 'King of Battle', the M109 self-propelled howitzer, another relic of the Cold War continuously updated to meet the challenges of warfare in the twenty-first century. Finally, the book looks at the 'REFORGER' exercises held in the 1970s and 80s, at the height of the Cold War, and which moved thousands of U.S personnel and vehicles to Germany on an annual basis.